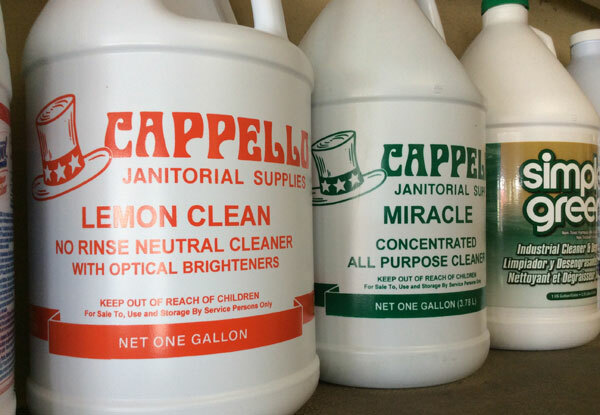 At Cappello Janitorial Supplies, we know that some cleaning jobs take a little more than elbow grease. 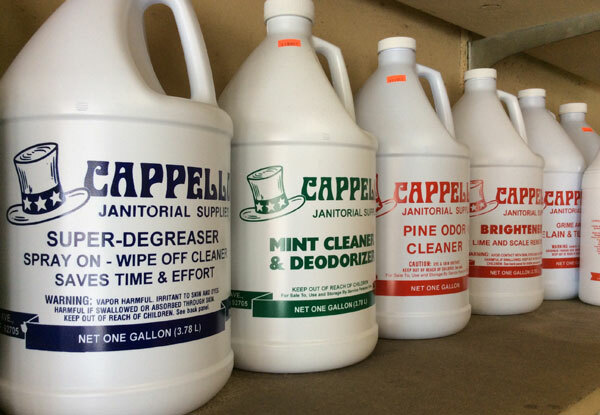 That's why we carry a complete line of brand name and private label cleaning chemicals, including all-purpose cleaners, disinfectants, mildew removers, drain openers, brighteners, toilet bowl cleaners, deodorizers, porcelain tile cleaners, super-degreasers, lime and scale removers, rust and graffiti removers, oven cleaners, muriatic acid, clear ammonia, enzyme cleaners and more. Unsure which cleaning chemical is right for you? No problem. 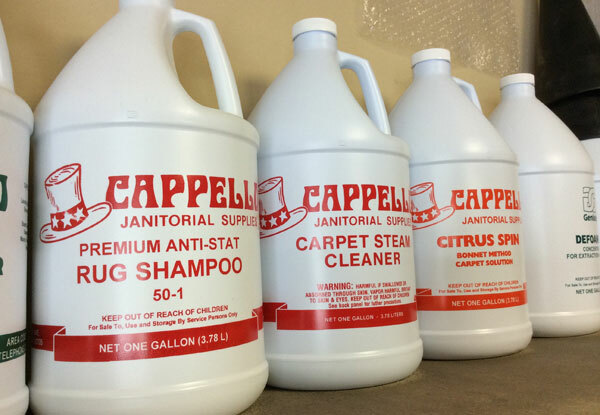 With an average of 40 years of industry experience, our employees have the experience and knowledge to help you get the best cleaning chemicals for your needs--and your budget! Simply call and tell us about your cleaning job; we're available six days a week. 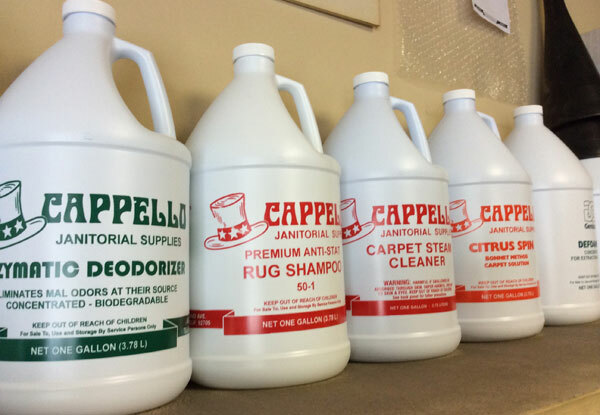 Below are just a few of the cleaning chemicals we sell.